I have a mint Drake MN75 Tuner with original manual. This tuner is my personal equipment. Asking $200 shipped CONUS only. No trades please, serious inquires only! Contact me @ ke2yk.cw@gmail.com. Thanks for reading my ad guys! Some people complain about eBay for various reasons. But one of eBay’s assets is that it offers buyer protection. In addition, there are some Ham Radio parts which are hard to find through the normal channels. 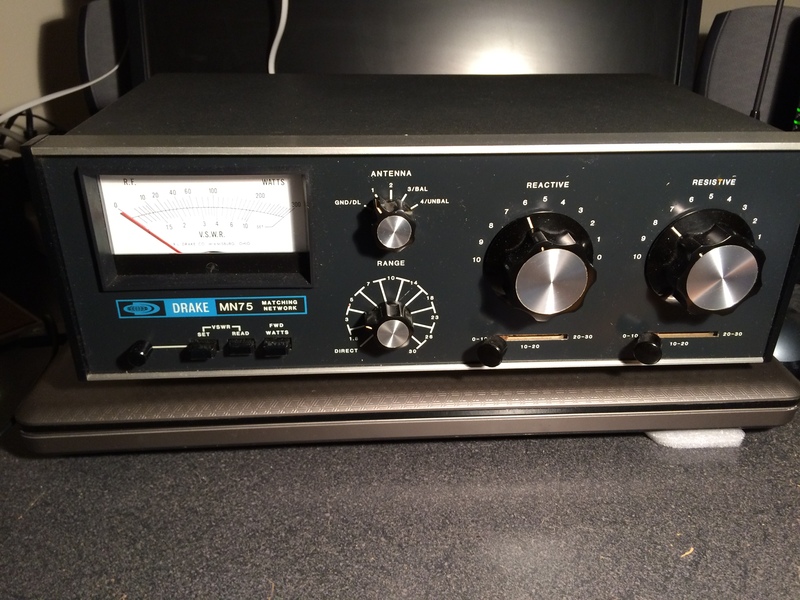 The eHamStore covers the usual Ham Radio and Scanner gear but also includes a vintage section as well as pages for items like tubes. Why not take a spin over to The eHamStore and browse around, check out prices or maybe find that rare piece of gear you are after. Hey, you never know. Best of all, no signups are ever required. Why not visit The eHamStore today!